Anna Bennett makes a splash with the first novel in her Debutante Diaries series! 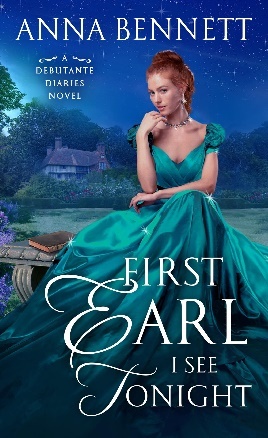 If you love historical romance, First Earl I See Tonight needs to be on your list! I adore historical romances, and this one sounds absolutely delightful! Plus, have you seen this cover!? GORGEOUS! I can’t wait to read this one during the holiday season!